Photo Friday: Is It Real or PhotoShop? 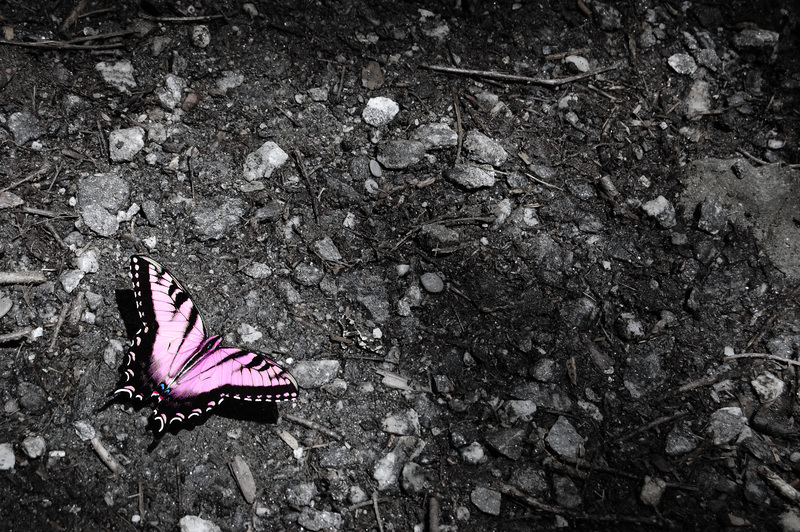 Have you ever seen the Pink Swallowtail butterfly?—No? Well, I suppose that’s because there is no such thing. This photo of a yellow Appalachian Tiger Swallowtail is my one and only experiment with Photoshop ever. You’ll notice by comparing it with the original below that I also de-colorized the ground and sharpened the image a bit. I like how this emphasized the natural circle of light around the butterfly which was filtering down through the leaves above me. Though its a photoshop. But its looks natural.